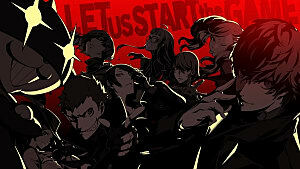 Forging links with different characters is critical to unlocking abilities and gaining more powerful Persona. 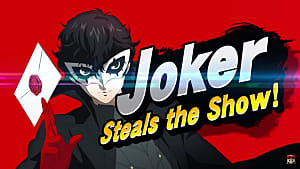 One of the more odd social links in Persona 5, the Strength confidant, is gained by completing tasks for a couple of lolis who have a punishment fetish. 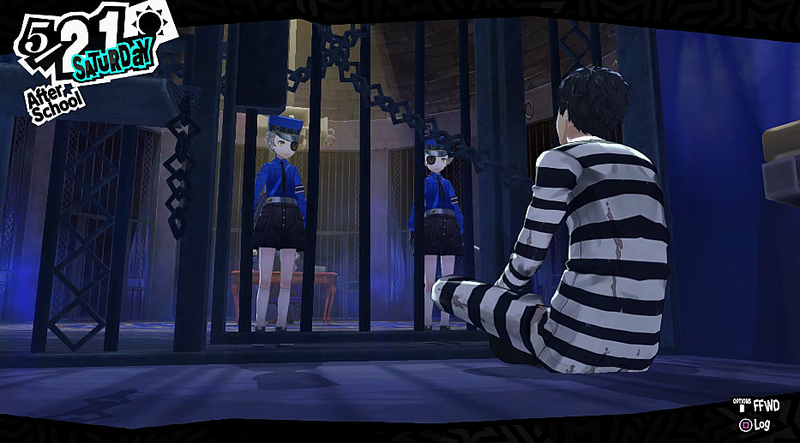 The Strength confidant becomes available in the Velvet Room on 5/18 by talking to Caroline and Justine in the prison cell. Although Strength didn't make our list of best confidants, ranking up this social connection will allow you to fuse some seriously powerful Persona, so it's well worth putting in the effort. There's a long way to go from rank 1 to rank 10! 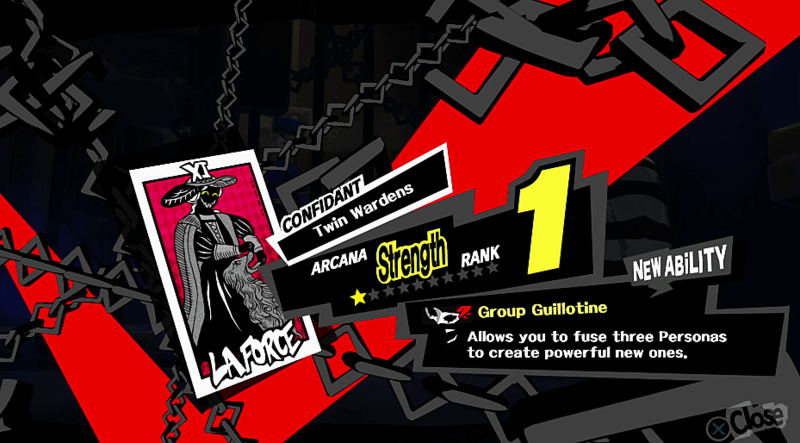 Working through the Persona 5 Strength confidant ranks works quite a bit differently than with any other social link. You don't need any specific social skills or even have to spend time with the twins. 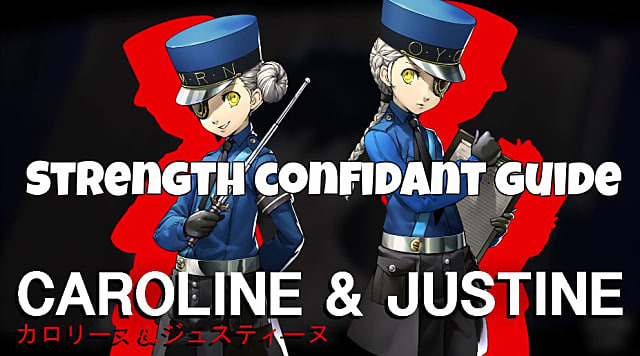 Instead, you just have to fuse specific Persona together to make Caroline and Justine happy. Requirement: Produce a Jack Frost that has the Mabufu ability. To get this specific combo, just simply fuse Eligor with Silky to get a Jack Frost, which will learn Mabufu at level 12. You can also fuse a Mokoi or Berith with Apsaras for this combo. Requirement: Produce a Shiisaa with the Frei ability. You can get this one by fusing your Jack Frost with a Makami that has Frei, and just make sure the Shiisaa inherits the ability. 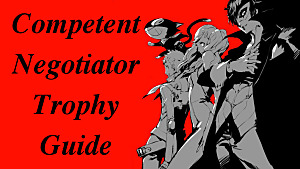 Requirement: Produce a Matador with the Magaru ability. You can get this by fusing Nekomata with Obariyon or Anzu and Koppa Tengu. 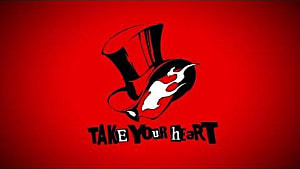 The Magaru ability is bestowed by Igor in the Velvet Room at a specific point in the game, and from then on can be gained randomly while fusing. So save and re-load if you don't get it on the first fusion. Requirement: Produce a Flauros with the Tarukaja ability. For this combo, fuse a level 11 Andras (which will have Tarukaja) with Eligor and Berith in a triple fusion. Requirement: Produce an Ame-no-Uzume with the Dodge Psy ability. There are a few ways to get here. 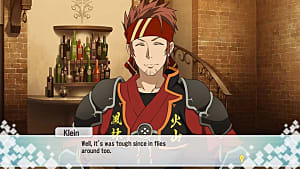 You can fuse a level 27 Kin-ki with Sui-ki, or fuse either Okuninushi and Sadama or Arsene and Norn and then strengthen the resulting combination with a level 27 Kin-Ki. Requirement: Produce a Neko Shogun with the Dekaja ability. For this rank, fuse a level 28 Anzu with Kodama and Sudama and you should get the Dekaja ability -- but you may have to reload due to randomization. 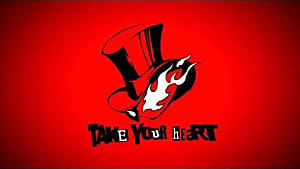 You can also strengthen the initial fusion with Flauros or Orobas to get the specific Persona combo you want. Requirement: Produce a Lachesis with the Tetraja ability. Fuse together Lamia and Sandman, resulting in a Principality with the Tetraja ability. Fuse the Persona with Yaksini to make an Ame-no-Uzume, then fuse with Isis to get Lachesis. 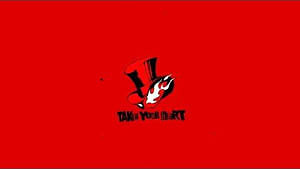 Fuse Koppa Tengu with Red Rider, then strengthen the Persona with a Clotho and you should receive the Tetraja skill. Requirement: Produce a Hecatoncheires with the Masukunda ability. Fusing a Unicorn with Lilim with get you to this combo, but you can also get it by combining Clotho with Red Rider and then strengthening with Lilim or Thoth. Requirement: Produce Bugs with the Samerecarm ability. To reach this rank's combo, perform a triple fuse using a level 41 Hariti, a Pixie and, a Pisaca. Requirement: Produce a Seth with the High Counter ability. This final one is a bit of a journey. 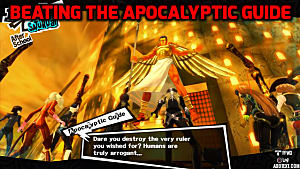 Fuse Hecatoncheires with Kushinada to get Horus, then fuse that Persona with Isis, Thoth, and Anubis to get Seth. Use the ability card High Counter obtained during the October mission “The Killer Who Cleans Up Trash” to give your Seth the right ability.